Starting a Business | Business Growth | Planning and Strategy |Access to Finance | Training & Skills | Innovation | International Markets | Regulation & Compliance |Business Adviser Reviews | Workshops and Masterclasses. 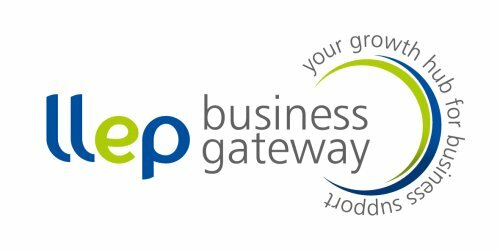 The LLEP Business Gateway is part funded by the European Regional Development Fund (ERDF). The Leicester Employment Hub is here to support your recruitment needs. Opportunities for additional promotion across LRS' websites, newsletters and social media platforms. During 2017/18 the LRS website reached 98,000 users – make the most of this! To get started, you'll need to log-in or register on this website. Once logged in, go to your 'Dashboard' (top of the website) and go to 'My Clubs & Organisations' - within this section you can add or link yourself to a Business/Organisation/Club. Within the 'Manage' section you can then start to update and promote your business and opportunities. We are looking to improve how we promote the broader sector of businesses within the sport and physical activity sector, therefore if you have any feedback, please contact Ali Clements. View all the upcoming fairs here. Loughborough College offer a range of apprenticeship options and the articles below give you some further information. Please email Victoria Harris Victoria.harris@loucoll.ac.uk for more information. The way Loughborough University creates businesses is changing. Collaborating with others,sharing knowledge and supporting each other throughout the process is now a vital step in creating new start-ups. Are your prepared for Brexit?